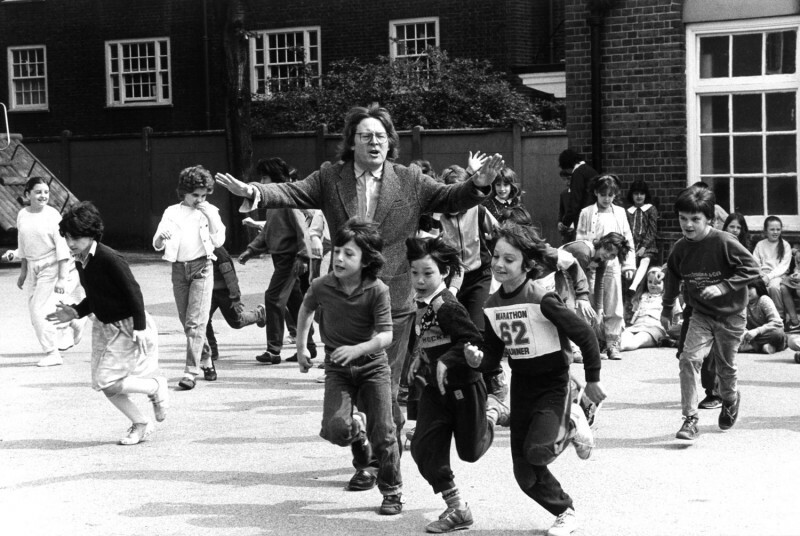 The Little Fugitive was a film I inadvertently saw at the Blue Hall, Islington. I loved this film about a small boy on the lam in Coney Island. At the time I didn’t know it was a mini masterpiece (by Ruth Orkin). For years, I used to erroneously call it The Little Fuckative. I don’t remember exactly when I became interested in film. I grew up in a block of flats in a working class part of Islington, North London, where the German bombs had flattened many of the cinemas during the Second World War. Curiously, this devastation was quite wonderful for a small boy growing up amongst the post-war debris. The bombed buildings were our playgrounds and although the signs very clearly said ‘Dangerous Building. Keep Out’, we of course ignored this and after climbing a fence or two and dodging the local police, the burned out, crumbling churches, houses and factories became our own private Disneyland. A favourite place was a bombed cinema called the ‘Blue Hall’ that still had most of the seats but someone had unbolted the projection equipment and probably it went for scrap during the war — you could build a whole Spitfire out of one of those monsters — or maybe they just locked it away for safekeeping. We used to sit in the seats and pretend to watch movies even though the screen and back walls of the building were missing. After a while, they renovated the cinema somewhat, but it was still pretty shabby compared to the nearby fancier ‘picture palaces’ that showed the ‘Technicolor’, mostly American, films. The ‘Blue Hall’ only showed ‘second run’ movies — those films that were not up to date, frequently awful, always terribly scratched and sometimes, quite wonderful as an occasional gem sometimes slipped through with no intellectual logic. It became my cinemateque — although no one called it that. It was mostly known as the local ‘flea pit,’ but I lapped up three films a week. Sometimes it seemed that my friends and I were the only ones watching, along with a few old aged pensioners, “in for the warm”. My other great cinema passion was “Saturday Morning Pictures” at the local Odeon. Designed specially for kids after the war, they showed marvelous old black and white cowboy serials with cliff-hanger endings “to be continued next week!” and any dreadful short film they could get hold of on subjects like ‘How to be a fireman’. To begin the show we all sang a song “We come along on Saturday morning, greeting everybody with a smile.” However, there were more tears than smiles. It was absolute bedlam; the noisiest audience you could imagine with fighting everywhere; kids piled on top of one another with adolescent attendants vainly rugby tackling the younger kids as they ran up and down the aisles, quite oblivious to the films up on the screen. 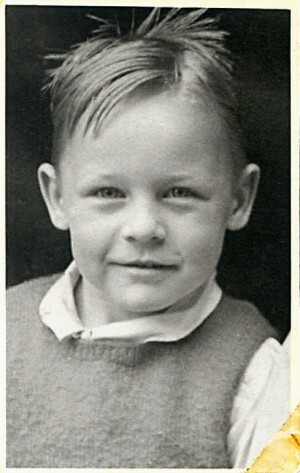 My parents weren’t especially interested in films although my dad was a keen amateur photographer. To be precise, his hobby was photographic printing. He was very clever at making things from available bits and pieces, as was the fashion in post war England, and had made an entire photographic enlarging machine, starting with a “Fox’s Glacier Mint” sweet tin. He made everything himself using bolts, wood and lenses he had scavenged. It stood five feet tall when assembled in the tiny bathroom of our council flat. (Every room had a double function: my own small bedroom was mostly taken up with my mother’s sewing machine and the piles of extra work she took in.) My Dad would spend many hours and evenings in his ‘dark-room’, finally emerging with a single out-of-focus print made on his precious photographic paper he had “borrowed’ from his then job on the Daily Sketch newspaper. I often joined him in the wonderful red glowing world as he magically conjured up the images. 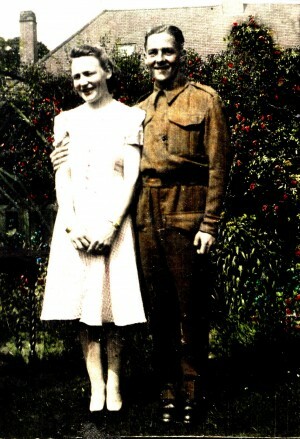 He would then sit at the kitchen table and painstakingly colour the black and white prints with coloured inks. One day, whilst innocently brushing my teeth, I noticed two bottles under the sink. They were “R. Whites” lemonade bottles. I couldn’t believe my luck — post war England was severely rationed and lemonade was extremely rare — and so I took a hefty swig from one of the bottles gulping it down until I realized it was quite poisonous—the bottle contained my father’s photographic developer chemicals. I had severe stomach pains and diarrhoea for a week. After that, my mother discouraged my dad’s hobby and the enlarger was never re-assembled. It has often been pointed out that this inadvertent chemical infusion into my bloodstream might have given some cause to my future profession. My first taste of ‘directing’ was at my junior school. I was aged about ten. 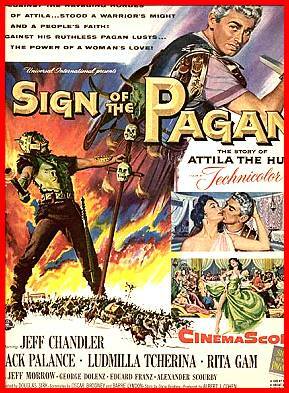 We had just been to see Jack Palance and Jeff Chandler in Sign of the Pagan at the local Odeon cinema. At playtime I divided up the whole school into ‘Romans’ and ‘Huns’, as the pagans charged the outside toilets defended by the Romans. It was quite a spectacle and was repeated each playtime, until the resultant bruises and bloody knees got out of hand and I was hauled off to the headmaster as the ringleader. The battles were subsequently banned. (I re-enacted this scene for my television documentary, A Turnip Head’s Guide in 1985).